In a recent post I talked about the various types of lakes based on their mixing classification. An understanding of the type of lake you are fishing on can give you a good indication of the depths where fish may be located at a particular time of year. 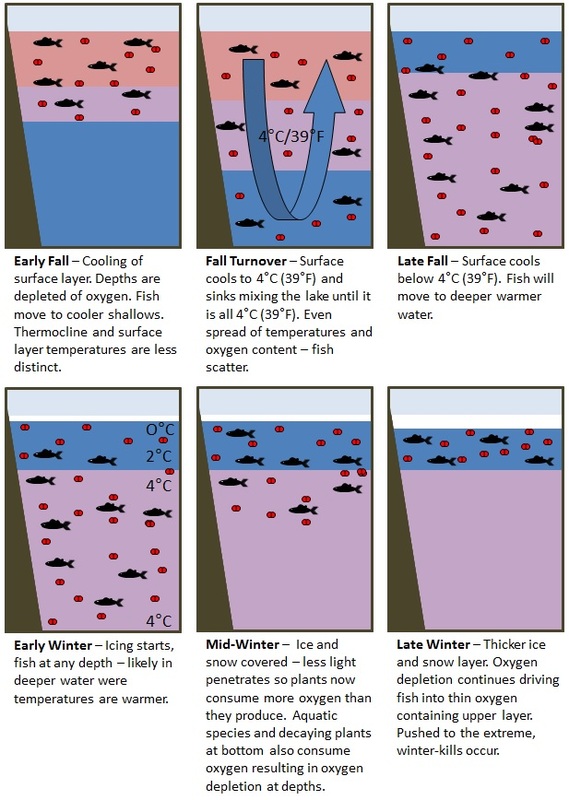 In addition to preferred temperature for differing fish, the presence or absence of oxygen in the water plays a key role in where fish will move to. Fish will gravitate to areas that most closely satisfy both temperature and oxygen needs. 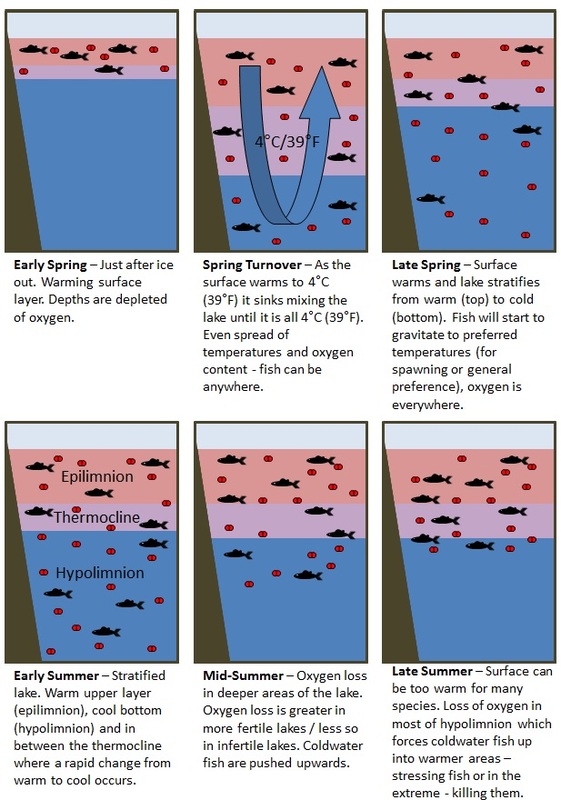 The images below show a possible scenario for a moderately fertile, temperate zone, dimictic lake – a common type found in temperate areas such as Ontario. As mentioned in a previous post a dimitic lake will have turnovers in both spring and fall. Fish will gravitate to areas that most closely satisfy both temperature and oxygen needs. Lake Science, Oxygen, temperature, Turnover.